The joy of the season seems to grow more in her as Christmas day draws closer. I love to see her light up with all the holiday festivities. Most especially, I love to watch her engage in conversation while the Christmas story is retold. Joseph, Mary, and Jesus are more familiar to her now, and I'm astounded by her childlike belief. She does not question the story but simply accepts the Christmas miracle as truth. What a beautiful sight to witness her simple, unwavering belief! Maybe this childlike faith is the reason why Jesus said we must become like a child, (Matthew 18:3). Her belief is unhindered at her young age. It is untainted by years of experience in the world. We, however, have encountered decades of various experiences that seem to challenge our faith at times. In the middle of complex, life circumstances, our everyday isn't as simple anymore. 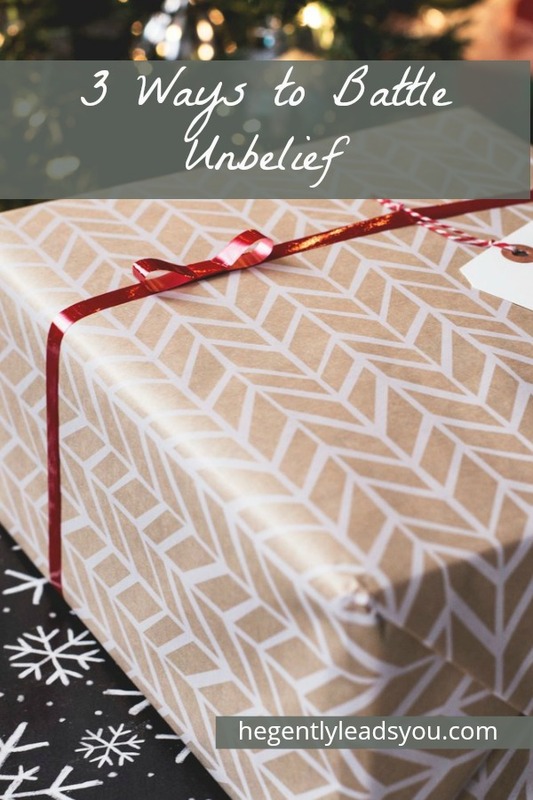 Doubting God's plans or promises for our life may come easier than steadfast belief. What, then, can we do to fuel our faith? Recall God's faithfulness in past circumstances. Read about God's character in Scripture. While the first two suggestions may seem familiar to you, the third may be new. It is new to me, and the idea only occurred to me as I began outlining our Christmas study for this week. As we continue our study in Luke 1, we will read about Mary and Zechariah's response to God's promises. For Mary, it was the promise of birthing the Savior into the world. God's promise to Zechariah was that he would have a son who would “make ready a people prepared for the Lord”, (Luke 1:17b). In both instances,they praised God even before God's promises were completely fulfilled. What if we chose to praise God even before one of his promises is fulfilled in our life? For instance, one promise in Scripture is God's provision, (Philippians 4:19, Matthew 6:25-26). Maybe you are in a situation in which you have not yet experienced the fulfillment of this promise and you struggle with unbelief. By praising God as Provider, and thanking him in advance for meeting your needs, you are ascertaining your belief in his provision. Undoubtedly, praising God before promises are fulfilled in our life will fuel our belief in his sovereignty. As we continue our Christmas study, please consider joining us for this week! You will fit right in, even if you have not joined us in past weeks. Please click here for the reading guide. Let's begin by reading a few verses from one of the passages this week. What is one character trait Mary praises God for?